Entrepreneurship in Romania is the embodiment of a young man born in 1990. Sometimes idealistic and animated by change, other times without any point of reference or in search for international scaling up and new business model identification, but every time looking for opportunities and adapted to the turbulent context of transformation of the national economy. At the same time, the Romanian entrepreneur of the 90's is a senior who now hands out the relay to the generation of those born when he started his business. At the macro level, his mission was a founding one for the business environment of a former communist country like Romania. At the micro level, the transition from employee status, assigned to a state enterprise, to the entrepreneur, was the other mission. He risked a lot with the galloping inflation rate of 170% in 1991 or 256% since 1993 and which continued to be doubled until 2004. Lack of capital and prohibitive interest-rate loans have led to reduced investment, which has even more complicated access to funding instruments. The absence of a business culture and entrepreneurial courage has privileged improvisation in the initial phase of building the business and has made it difficult to scale up the businesses they built. With these difficulties, inherent to a transitional period, this generation has pioneered the expression of the private initiative and the promotion of the values of the market economy in Romania. Today, a new generation takes over the relay to carry the business forward. It is the generation of those who grew up with the Internet in their pockets and technology at their fingertips. Those who have traveled and studied in countries with a solid business culture who have met owners of businesses with a tradition of several generations, who are connected to new trends, who transform business models or invent new ones. It is the generation of those who think as part of the network and express their options directly in the online environment, those who have not known the economic constraints of party’s ideology and think about the development of a global business. They are friends with technology and use it naturally as a prolongation of their own presence in an environment that raise presidents on the shield and builds the most powerful global business. Of these individuals, future business leaders will be selected. On the other hand, when entrepreneurs of the first generation in Romania are asked about the transfer of businesses to the second generation, few say they are ready. At least this seems to be the result of studies on this topic and relevant to Romania. Succession planning is the top three challenges for Romanian entrepreneurs. Most are determined to keep the company's business and management in the family. At this moment, Romanian entrepreneurs do not seem to be inclined to professionalize business management, i.e. to preserve business property rights but to attract external managers to the company's leadership. At the same time, differences in vision between generations may endanger the family business. The danger may take the form of differences of vision on business management and evolution and goes down to unfortunate family events (death, divorce, etc.). There are notorious cases of the dramatic endings of Romanian entrepreneurs that attracted the collapse of the business they had built. In order to protect the businesses in these situations, it is necessary to implement appropriate procedures which, at this point in many family businesses, are either simplistically designed or missing altogether. If the entrepreneurial tradition in Europe has experienced concrete measures such as shareholder understandings, performance appraisal measures, family council, or other conflict resolution mechanisms, the situation in Romanian companies is correlated with the low level of maturity of entrepreneurship in general. Once again, it is hard to follow the example of secular businesses from all over the world, and we want to create our own path, with all the risks involved. 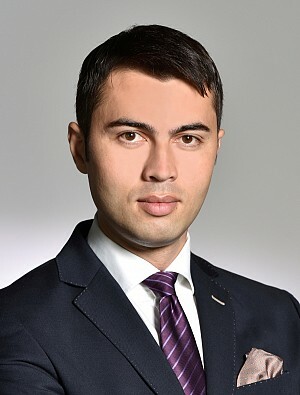 Constantin Măgdălina has 8 years of working experience, while he performed in multinationals both in Romania and abroad. Constantin has a Master’s Degree in Marketing and Business Communication at the Academy of Economic Studies Bucharest. He is certified Lean Six Sigma and ITIL which provide him a good understanding of processes and transformations within organizations. The Chartered Institute of Marketing certification furthered on complemented his expertise and knowledge in business. In those over 4 years working activity in a Big4 company, he initiated and conducted studies which analyzed different aspects related to the business environment in Romania such as the economic growth predictions of companies in 2013-2016, knowledge management, the buying experience in the age of digital consumers, social media 2013-2015, the utilization of mobile devices in Romania. He is the author of numerous articles on topics related to innovation, the efficiency of business processes, social media, the consumers’ buying experience in the age of digital, trends and emergent technologies. He is invited as a speaker at numerous events and business conferences.